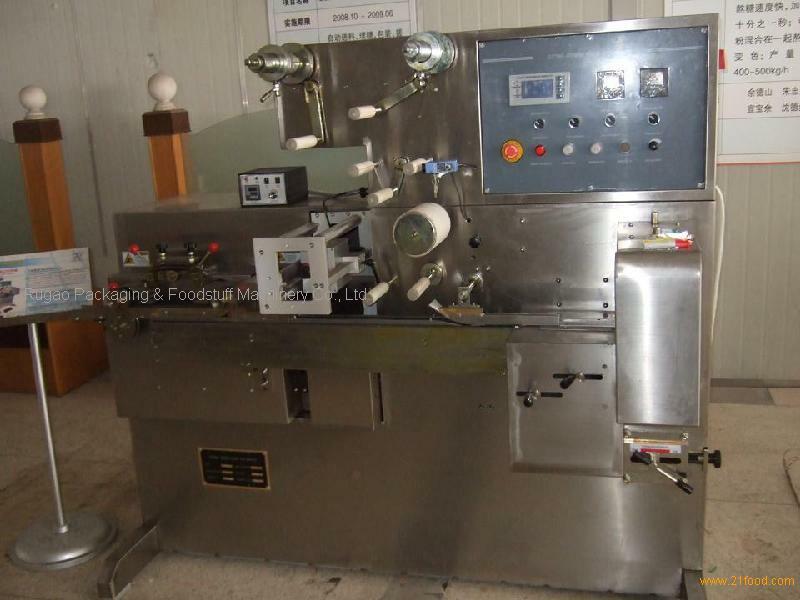 QZB-I cutting-forming pillow-type wrapper from China Jiangsu , QZB-I cutting-forming pillow-type wrapper manufactory Rugao Packaging & Foodstuff Machinery Co., Ltd.
wrapper can be used to pack bubble gum and cream candy in pillow-type. The machine is a combination of guillotine cutter and pillow-type wrapper, i.e., it can cut sugar rope and mold into required shape, and then put candy into the wrapping machine. Therefore, the efficiency of the machine is very high and it is quite easy to keep the sanitary condition. The wrapper offers an deal choice for confectionary manufacturers.